If you missed out on your chance to get tickets to HONNE's back-to-back sold out shows in Singapore, fret not for Moonbeats Asia has your back. The promoter took to Facebook on Friday, 25 January to announce that limited free-standing tickets for both shows will be released shortly due to overwhelming demand. This will be the final wave of tickets to be released. 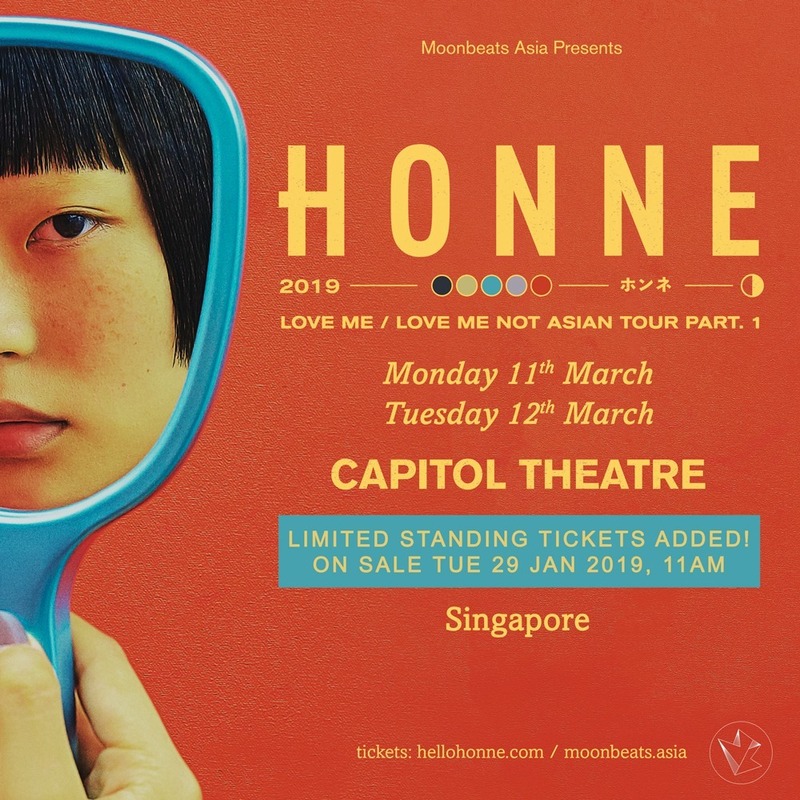 Honne is set to perform at the Capitol Theatre on Monday, 11 March 2019, and Tuesday, 12 March 2019. Tickets will be available from Tuesday 29 January, 11am at the official Moonbeats Asia website. While waiting for the band to perform in SIngapore, check out our interview with the duo here.